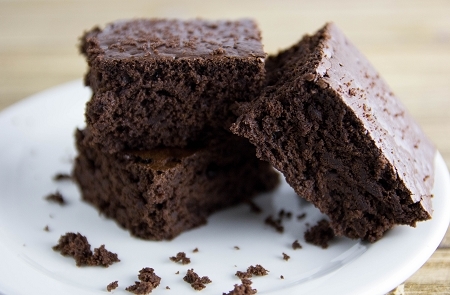 Our Fudge Brownie mixes make moist and decadent brownies with traditional fudge flavor. Easy to make—just add oil and water and bake. Wheat Flour, Maltodextrin, Polydextrose, Cocoa, Dietary Fiber, Shortening (Soybean Oil, Canola Oil, Mono & Diglycerides), Nonfat Dry Milk, Whole Dried Eggs, Erythritol, Modified Starch, Monocalcium Phosphate, Calcium Acid, Pyrophosphate, Chocolate Flavor, Baking Soda, Caramel Color, Cellulose Gum, Vanilla Flavor, Mocha Cappuccino Flavor, Salt, Sucralose, Acesulfame Potassium.